Self-Storage Pittsburgh: Forget That Something is in Storage? Is That Item in Storage? If you’ve ever rented a self-storage unit, then you’ve probably had the experience of looking for a certain item in the house, only to remember after hours of searching that it’s in your storage space. At EZ Storage® in Pittsburgh, we can help you find the ideal space for your belongings, but it’s up to you to make a list of what you’ve stored there, in order to save yourself the headache of looking for something, only to remember that it’s safely tucked away in a box in your unit! It’s a good idea to make a list of everything you put into your storage unit. The easiest way to do this is usually to make a list for every room in the house. That way, you can keep everything organized and know that you have boxes from the kitchen, the bedroom, the bathroom, and other rooms. When you get to your unit, you can place the boxes from a certain room in the same area, making it easy to find them, should you need them in the future. When making your list for each room, put numbers on each box as you fill them. By labeling things this way, you can have the labels correspond with your master list. You’ll know that “Kitchen Box 1” has utensils, towels, a mixer, and other items in it. Instead of opening several boxes to find what you need, you can go to the exact one and pull out the belongings you plan on taking home. You’ll also know how many boxes you have for each room, and can plan your storage organization accordingly. You might be someone who likes to make lists by hand, and that can be great for self-storage. However, it’s often a good idea to make a digital copy that you can reference on your phone when you visit your storage space. 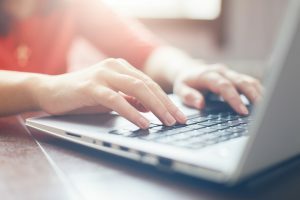 You never know if the paper copy will get lost or damaged, so having a backup on your computer or phone can be a great way to ensure you have access to it. Once you have your paper copy finished, take some time to type it up on your laptop. You can even create a spreadsheet and separate each room into its own tab — your list can be as organized as your storage unit! If you’ve ever been hunting for an item and then remembered that it’s in storage, then it’s probably a good idea to make a list, number your boxes, and create a digital backup for your list. If you’re looking for self-storage in the greater Pittsburgh area, then please visit one of our locations today. Our resident managers and staff members are always ready to help, and they can help you choose a space that’s right for you. Every unit can be rented on a monthly basis, so you can store your belongings for as long as you need. This entry was posted in Self-Storage Pittsburgh and tagged local storage, self-storage, self-storage companies, self-storage near me, self-storage units, storage near me, storage units on February 3, 2019 by admin. What Do You Need in Each Area of Your Home? Is Your Event Rental Business Ready for Summer? Getting Ready to Move This Spring? Copyright © EZ Storage®. All rights reserved.